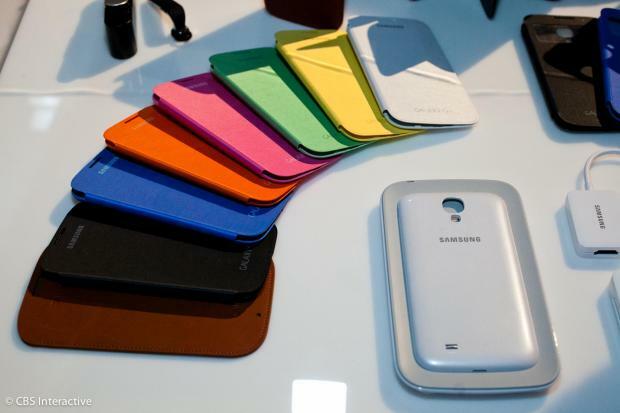 Earlier this morning, Samsung announced the latest addition to the Galaxy smartphone range: the flagship Galaxy S4. Featuring a 5-inch Full HD screen and an eight-core processor, it looks set to take the crown as the best selling Android flagship smartphone this year. But of course, the device alone is not complete without its range of accessories. From wireless charging covers to heart rate monitors (and even a weighing scale! ), Samsung has you covered. 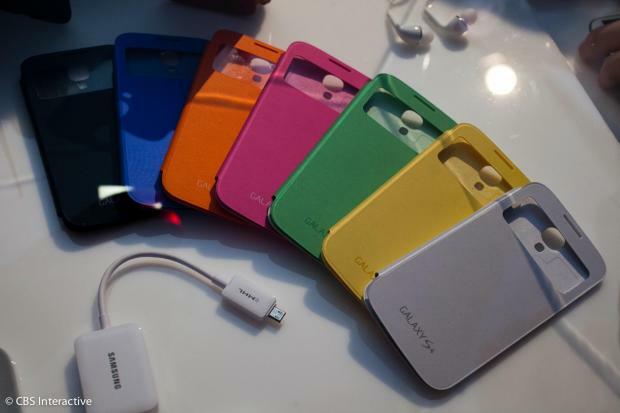 First up, Samsung has re-introduced its side-flipping covers that proved very popular in the Galaxy S III. If you prefer something more functional, there is the S View Cover, which is similar to the standard Flip Cover, but features a cut-out portion that allows the screen to display the time as well as notifications. Both covers will be available in a slew of bright and cheery colours. If the flip cover and S View Cover are too boring for you, you could opt for the wireless charging cover, which costs $39.99. Unfortunately, CNET notes that Samsung has not confirmed if the wireless charging module is of the Qi standard – meaning that other wireless chargers may not work on the S4. 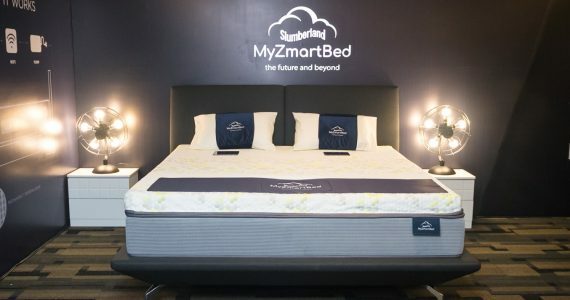 That may be a reason why it will be selling its own Samsung-branded wireless charger at $59.99 (although other makers sell their own Qi wireless chargers as well). 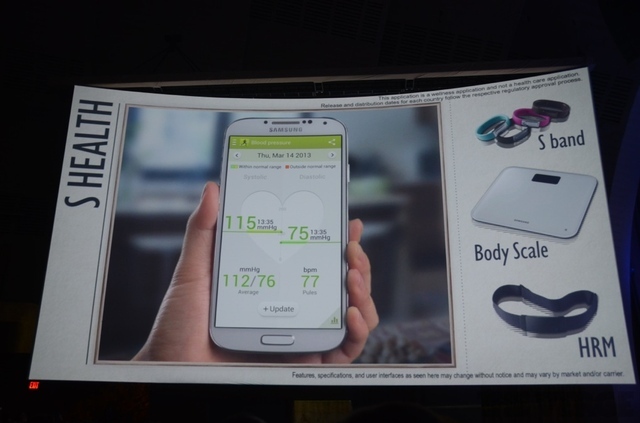 On the other hand, Samsung also has something for fitness and health buffs. The new Galaxy S4 has a pedometer built-in which can track the number of footsteps you take – but the Korean giants has more to offer. The S Health app not only pulls information in from the pedometer, but also from other new sensors on the phone: a temperature and humidity sensor. In addition, there’s also a calorie calculator for the extra-health-conscious. That’s not all. 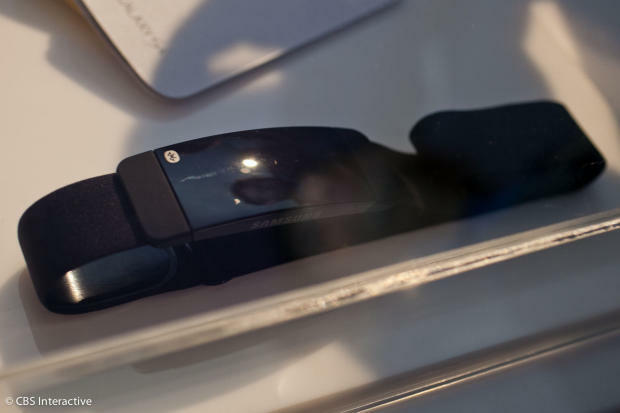 There will be an S Band, which is a bracelet with a built-in pedometer not unlike Nike’s Fuelband, which syncs with the Galaxy S4 if you prefer not to hold on to the gigantic chunk of a phone when you’re on your runs. In addition, besides offering support for third-party heart rate monitors, Samsung will also be marketing its own Bluetooth-syncing heart-rate monitors. And, in what may be a slight overkill, there will also be a Body Scale from Samsung, which we presume will be able to wirelessly sync with the Galaxy S4 and then automatically calculate information such as Body Mass Index. These set of fitness instruments are particularly interesting to note, because with the built-in pedometer and life-tracking features on the Galaxy S4, the Korean company is tapping into a growing trend of fitness-oriented apps – and actually goes a step further with support for HRMs and the S Health app. Finally, Samsung has also not forgotten gamers. On display at the Unpacked event this morning is a prototype Bluetooth wireless gamepad – which looks suspiciously similar to an XBOX wireless controller, from the location of the analog sticks to the colour scheme of the ABXY buttons. Presumably, this may be done to allow gamers to seamlessly adapt to the wireless gamepad. 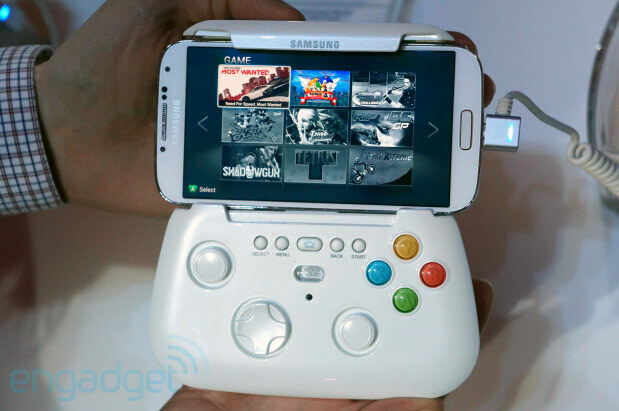 The gamepad is powered by dual AAA batteries, and there’s a clamp at the front of the gamepad that allows users to clamp their Galaxy S4 (or even Galaxy Notes) in place a la NVIDIA Project Shield. Red bull Racing Unveils Their All-New F1 Spy App!